Balfourodendron riedelianum of the Family Rutaceae. Pau marfim, guatambu, ivorywood, moroti, guatambu moroti, farinha seca, quatamba, pau liso, kytandy, quillo bordon and yomo de heuro. Heights range from 40 feet to 80 feet, with average diameters of 30 inches. Average weight is 50 pounds per square foot with a specific gravity of 0.80. Timber dries easily and quickly with little degrade. There is small movement in service. The wood works well with hand and machine tools. There is a moderate-to-heavy blunting effect on cutting edges, depending on the presence of interlocked grain. The wood takes nails, screws well and glues easily. It is not considered durable and is liable to insect attack. The heartwood is resistant to preservative treatment, but the sapwood is permeable. 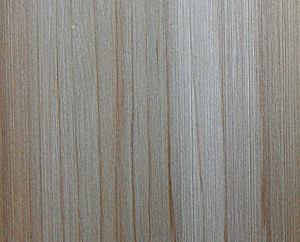 Pau marfim is a creamy colored, heavy, dense wood that grows in Brazil, Paraguay and Argentina. Pau marfim goes by a number of trade names around the world. In Argentina it is called guatambu moroti; in Brazil, pau liso, farinha seca, and quatamba. In Peru it is known as quillo bordon; in Columbia it is yomo de huero; while ivorywood is one of its names in the United States and other English-speaking nations. William A. Lincoln reports in his book, World Woods in Color, that the name pau marfim is also used in South America "for other fine-textured, creamy colored woods, especially for species of Aspidosperma." Author Albert Constantine refers as ivorywood in his book, Know Your Woods. "Ivorywood grows in Brazil and has a close, compact grain, displaying a smooth surface resembling ivory, which no doubt is the reason for its name," Constanine says. Constantine describes the wood as rare, highly esteemed in Argentina, but not generally commercially used. Pau marfim is one of those woods with few character markings. Its heartwood and sapwood are very similar in color, ranging from a creamy white to pale yellow to yellow-brown. 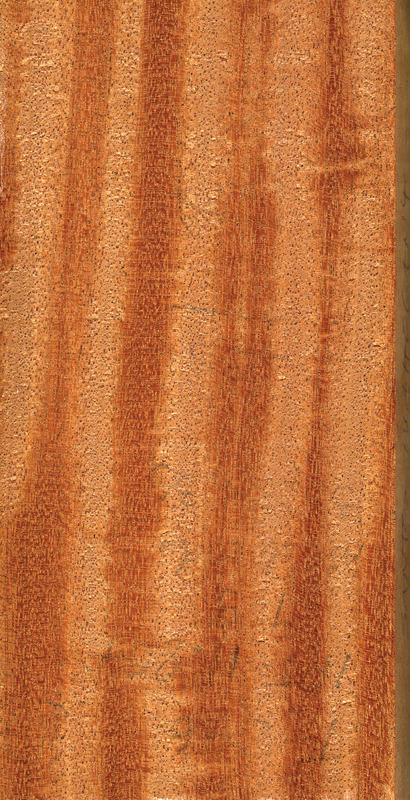 Sometimes the heartwood will have darker streaks. The wood is dense and fine textured and heavy, tough and strong with excellent shock resistance. Pau marfimâs properties and coloring have made it a logical substitute for birch and hard maple, especially for flooring, because of its highly rated wear resistance. Pau marfim flooring is said to exceed maple in wearability. Uses for pau marfim range from furniture, paneling and cabinetry to the construction and flooring. The wood is a good choice for tool handles and oars, textile rollers and drawing instruments. 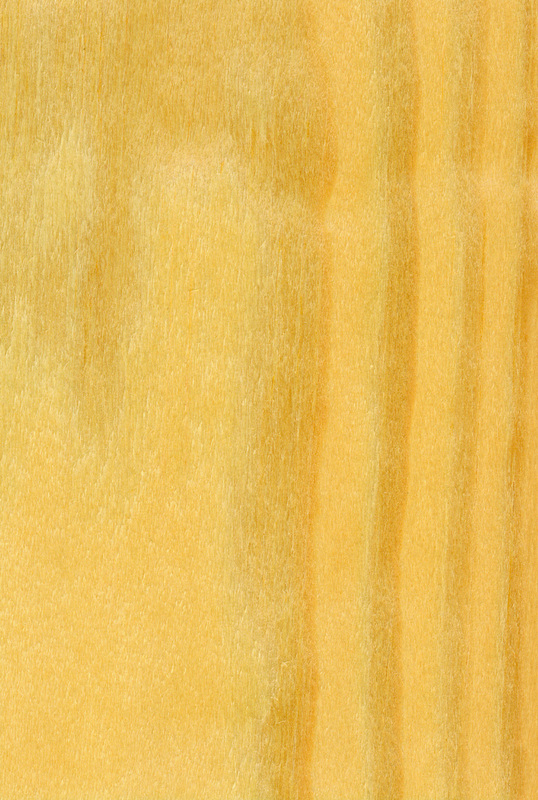 It is used in both lumber and veneer form. Mark Stephens, sales representative for Woodworkers Source in Phoenix, AZ, says pau marfim is a popular choice for model ship making. "It is one of those woods that can be cut into very small and complex parts without splintering. Model makers cut it into fine, thin strips and intricate shapes, and it holds up well. "Another client bought a sample and ended up ordering enough to make kitchen cabinets for his home. He used solid pau marfim to make raised panel doors and cases," the sales representative says. Stephens has also used the wood with a much darker one, cocobolo, in his projects. "I like it because the color is very uniform, and it has a tight grain with no defects. I used [Pau marfim] as inlay on the edge of a picture frame, and it was very easily routed and held its shape, " Stephens says. The U.S. Department of Agriculture Forest Service reports that pau marfim can be dried without excessive degrade. They recommend a kiln schedule of T6-C3 for 4/4 stock and T5-C2 for 8/4. The wood air dries slowly because of its density. Once seasoned, the wood is dimensionally stable and has only small movement in service. Working with pau marfim is regarded as easy. The wood nails, screws and glues without problems, and finishes well, taking stain and paint easily. One area where the wood does not shine is steam bending. Its poor steam bending rating is most likely due to the high strength of the material. The wood is reported to vary in density, depending on the area where it grows. Pau marfimâs heartwood has a low resistance to decay, and interior uses are recommended. The heartwood is resistant to preservative treatment, but its sapwood can be treated. Pau marfim has a natural, medium luster without odor.